TiCME (Time Critical Medical Education) is a peer reviewed critical care education series developed by Dr Nick Taylor. TiCME aims to deliver tutorials on key aspects of critical care with emphasis on simplifying difficult concepts and including the physiological basis behind disease processes and their treatment. TiCME includes large amounts of genuine ECG, pathology, radiology and ED ultrasound images and video collected by Nick from clinical emergency practice. TiCME aims to build core knowledge and understanding. Nick is aware that there is a vast repository of online information from a variety of sources. TiCME aims to complement these other resources to encourage more advanced practice by building a platform from which to grow from. Nick graduated from the University of Queensland in 1999 as the last of the undergraduates. After trying out a few other jobs and spending time working in the UK and hiking in South America, he settled on ED training, his spiritual home. Since obtaining ACEM fellowship, during which he surprised his DEMT, slightly annoyed his wife (and you said you might fail!) and shocked himself by winning the Buchanan Prize, Nick has committed to his passion for ED education. He is currently the Co-Director of Emergency Medicine Training at Canberra Hospital and a clinical lecturer at ANU Medical school. In addition he created and manages the canberraemergency.com.au, the inhouse ED website for the Canberra Hospital. 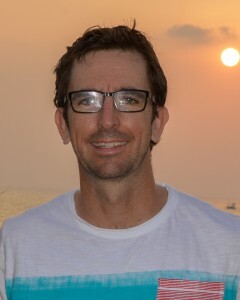 He is a group lead and member of the steering group for the ACEM Curriculum Review Project. He has a special interest in ECGs and acute cardiology. Nick loves outdoor adventures and has a shed full of bikes, skis and surfboards. If anyone knows of a place with deep powder, 4ft offshore and single track within a few minutes of a busy ED, let him know… until global warming gets Canberra a beach, he’ll have to make do here! Feedback is always welcome please contact Nick if you have any suggestions.